The first-ever Add-on Discovery Day was a great success. Partners and customers were able to join nine leading marketplace developers, including draw.io, to learn more about their Atlassian add-ons, with expert tips and news about upcoming developments. A Silicon Valley tour? Yes, please! 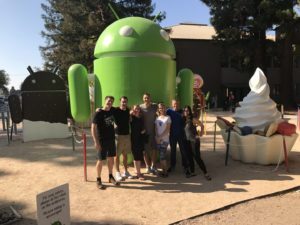 Of course, being in San José, we couldn’t miss visiting a few other famous locations nearby in Silicon Valley – we got to tour Apple, Google, Facebook and Hewlett Packard, and caught up with some old friends there. Naturally, we stopped by Atlassian’s new Mountain View office to round out our sightseeing. We’re looking forward to the next US summit in Las Vegas, Nevada. But before we think about that event, the second Atlassian Summit Europe is in September 2018. Throughout the events, we live-blogged our fingers raw – if you weren’t there at Summit with us, you could get a taste of the event through our live blog. Our camera was also hard at work, and we took a bucketload of 360 degree panorama photos! and … Valiantys, Communardo and cPrime, all of whom we didn’t get a chance to take a photo with! 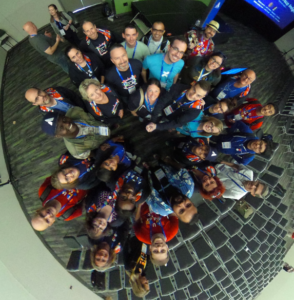 If you joined us for a photo at Summit 2017, check our live blog, or our Twitter and Facebook streams – you might be famous!